Together with students, Norbert has presented our work at the Long Night of Science in Berlin & Potsdam. 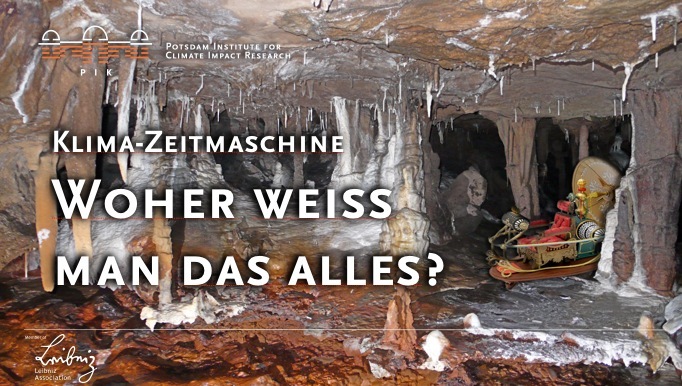 The exhibition “The Climate Time Machine” at the Potsdam Insitute for Climate Impact Research (PIK) was together with the modellers group of the PIK who presented a palaeoclimate model (analyzing the impact of a cretaceous meteorite impact and the dinosaurs extinction). The second part of the “Climate Time Machine” was on palaeoclimate archives, including lake sediments and stalagmites. The public interest was amazing. 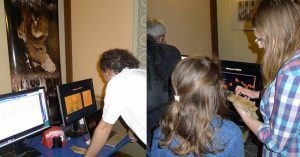 Instead of presenting only numbers and computer graphs, the palaeoclimate was for touching as we were presenting real samples of a stalagmite and lake sediments as well as caving equipment. High interest at the “Climate Time Machine”.